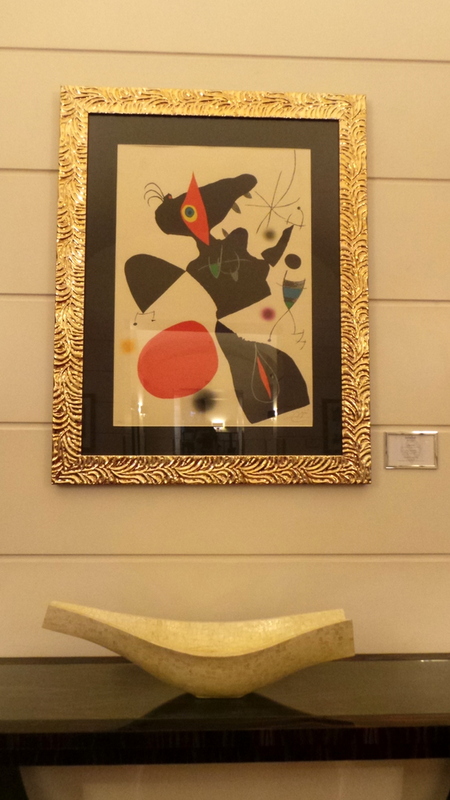 Jumeirah Grand Hotel Via Veneto Rome. It’s mouthful of a phrase for a name, but this is one of the latest luxury hotels to open in Rome. Three weeks ago, I spent 2 nights in this hotel that was also included in Conde Nast Traveller’s 2011 Hotlist as one of the most beautiful hotels in the world. Here’s my report on the hotel that brings the trademark Jumeirah premium brand infused with Italian history and culture. If you have seen Federico Fellini’s classic 1960 film, La Dolce Vita, then Via Veneto would be familiar to you, as the film was centered mainly on this road. 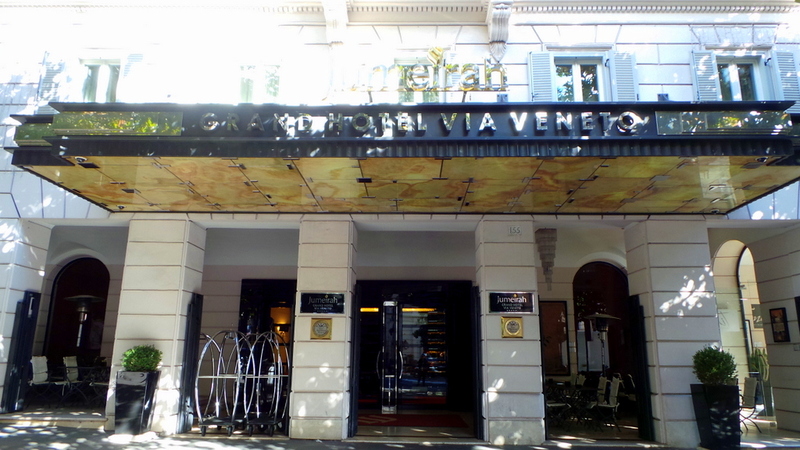 Outside of movie references, Via Veneto is a strip of road that is address to a number of luxury hotels, boutiques, banks and even embassies. We arrived around 10 AM and we only had to wait just a little for the room to be ready for check-in. Check-in was done traditionally at the desk and someone escorted us to the room to show the facilities. 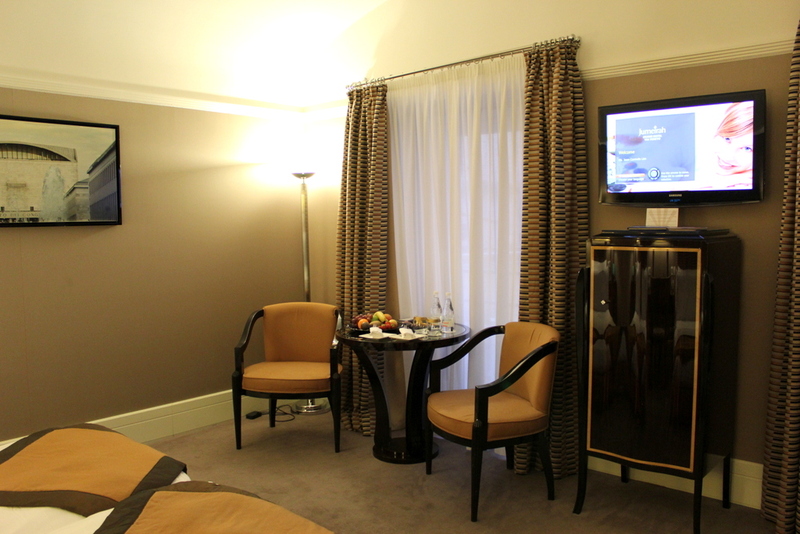 We were checked in to a Deluxe Room, overlooking the courtyard. 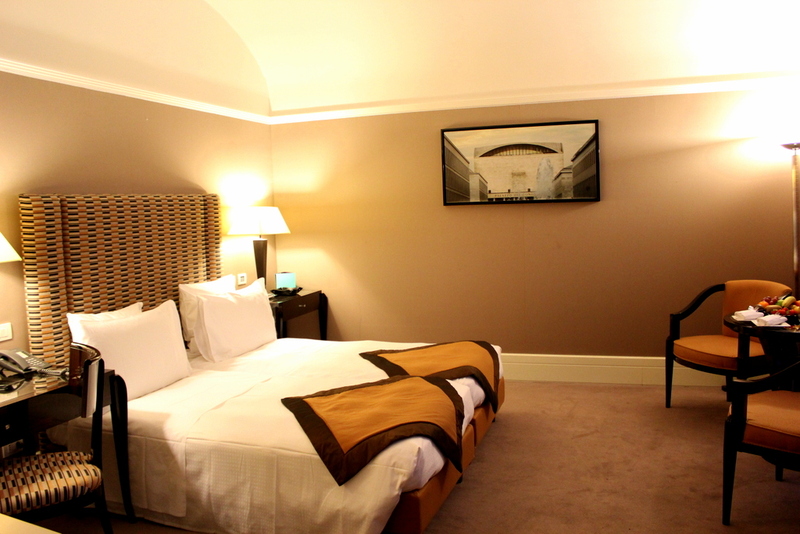 Deluxe rooms range in size from 34-41 square metres. 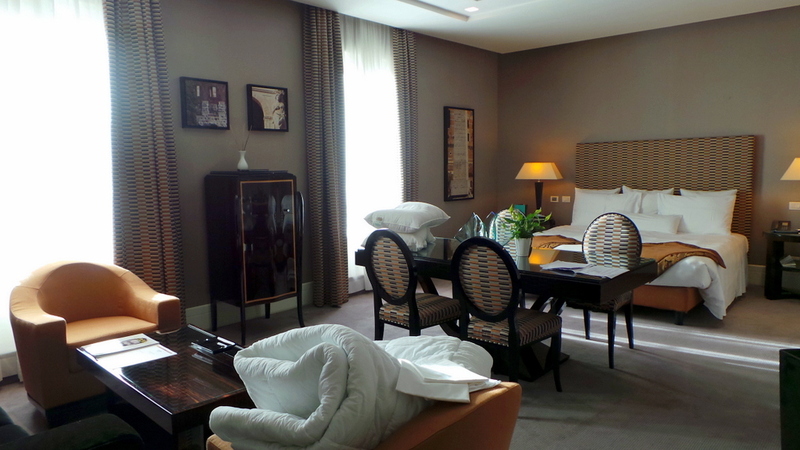 There are accents of dark wood throughout the room and the signature touches of gold and almost black navy of Jumeirah. My only comment about the room would be the external air conditioning, which gives the room a rather dated feel. 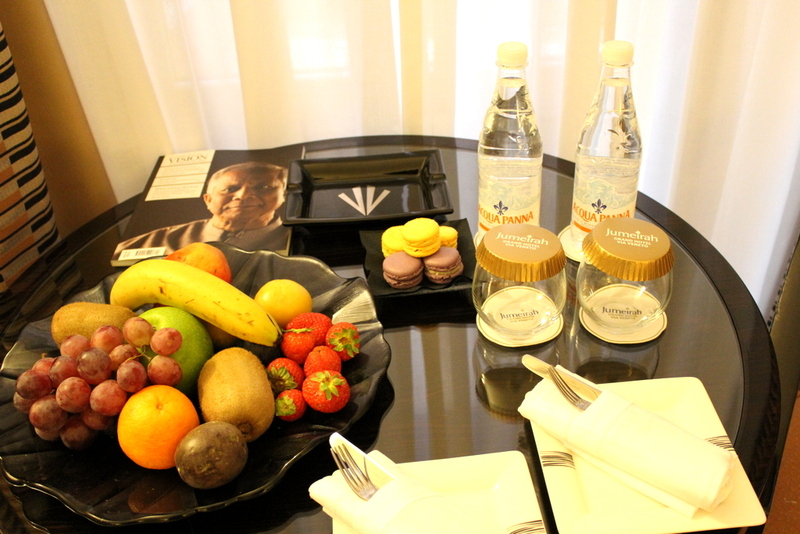 I love the 90-10 ratio of fruit and macarons of the welcome amenity. Very healthy, which I approve! There were a lot of reading material inside the room. 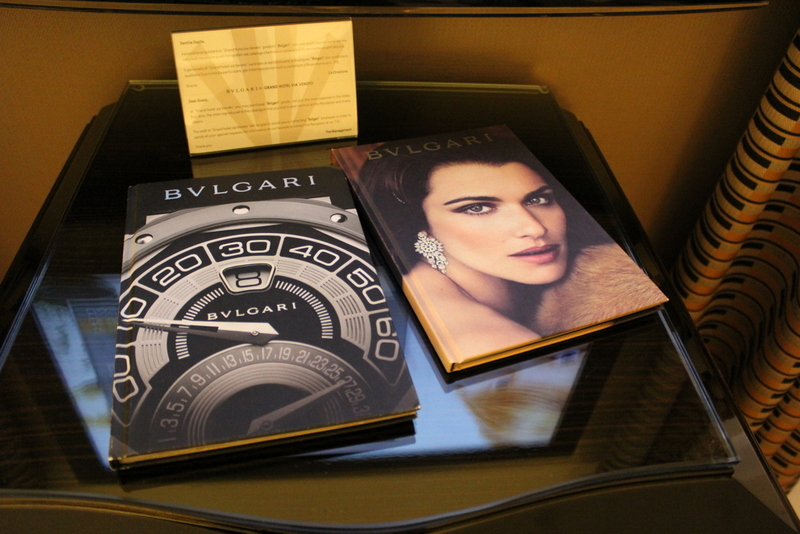 2 of which are Bvlgari hardbound catalogues which doubles as a glam coffee book. The stunning Rachel Weisz is featured on the cover. The others include the Jumeirah global magazine, of which the actor Omar Sharif fronted the cover. The bathroom I found quite dark, but it was very modern and sleek. It had a separate shower and bath. It also had the separate bidet seat commonly found in Middle Eastern hotels and certain European countries. I love the heated towel rack, and a safety feature that I noticed on all Italian hotels: the emergency alarm string inside the shower. It can sometimes look distracting on an aesthetic view but I realise this is a safety requirement and it does make sense, as should someone get into an accident and slip, it would be easy for them to tug at the string for help. 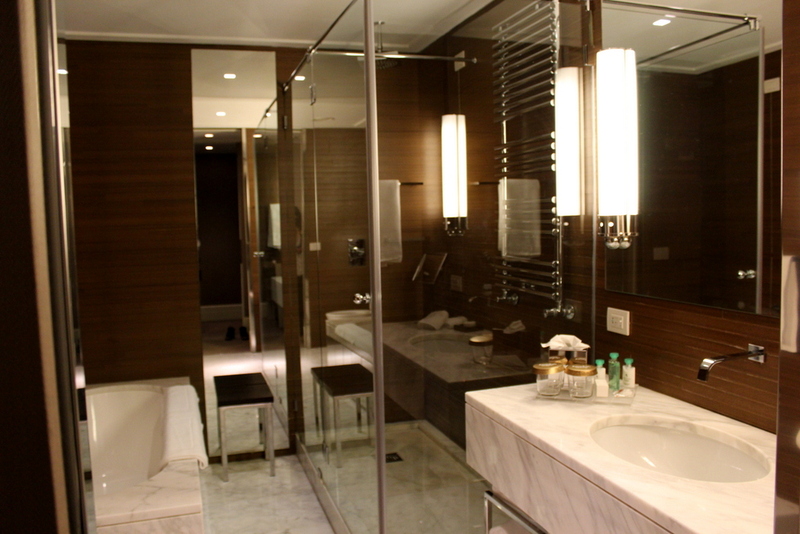 Bathroom toiletries were from Bvlgari, which had a lovely green tea/mint-ish fragrance. Breakfast is served daily at Magnolia Restaurant. A fair selection of continental buffet breakfast with a few hot choices of scrambled eggs and bacon. The bread , fruit and cheese selections are great. The hotel also has Time Restaurant & Wine Bar, offering fine dining, drinks and cocktails. The service from check-in and concierge were efficient but abit impersonal. This was probably due to them being busy, but the crew who stood out best in this hotel were the frontline gentlemen – the doormen of Jumeirah Grand Hotel Via Veneto. All that I encountered were very friendly, helpful and proactive. Their level of interaction towards guests were very engaging, considering we only briefly interact with them. It didn’t hurt that they were all tall and not bad looking either! 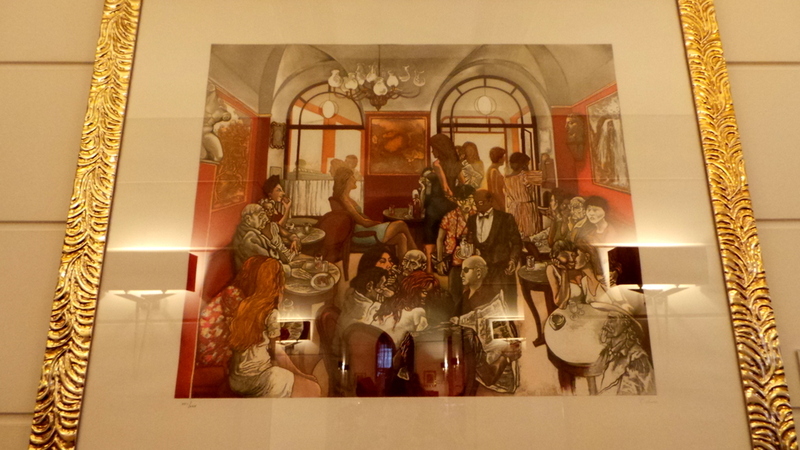 The hotel has quite a legendary art collection, all originals of Picasso, Dali and Guttuso throughout the lobby and hallways. I liked that the Jumeirah Grand Hotel Via Veneto had preserved the historic external structure of the building and had modified what they could within, so it was a good mix of historic and slightly modern decor. As they could not completely demolish the 2 villas that make up the entire hotel, some of the floors can be classified as 1.5 floors (For example Level 1 has 2 levels, just separated slightly by 5 steps. It makes for a quirky and unique design. What stood out for me the most during the stay were really, the efficiency and friendliness of the doormen. If their warmth and enthusiasm spread throughout the front desk staff , they would have an overall unforgettable customer service. It was great that the doormen were the first and last point of contact for us to leave a lasting impression. The location is also very convenient. 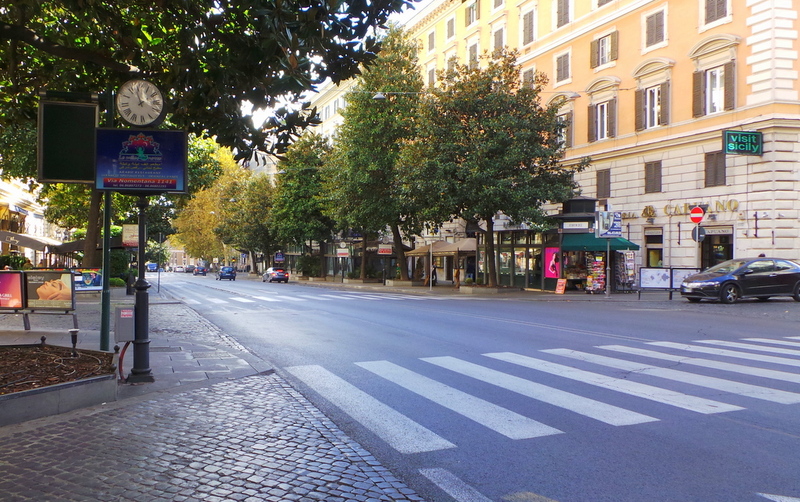 While Via Veneto is a main road, it’s still quiet enough to take leisurely walks. We were guests of Jumeirah Grand Hotel Via Veneto, however this does not hold any bearing on my thoughts and opinions on the blog. It looks very spacious! 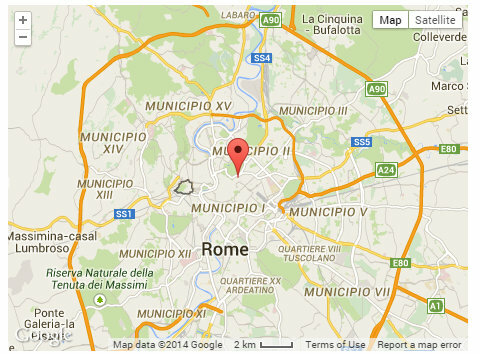 We actually walked past it and I remarked that I didn’t know that they had one in Rome! Via Veneto is a great street for luxury hotel lovers 🙂 Did you had any chance to visit the Majestic Roma, few steps from the Jumeirah ? Nice hotel, stayed for couple of day. Good location, nice street. The hotel staff was very nice, as the hotel wasn’t full, they upgrade our room, to really spacious one, also the barmen brought the drinks twice, saying that he maid mistake, but obviously it wasn’t mistake, it was just nice treatment from the staff. Sounds like a great experience you had! An upgrade AND ‘complimentary’ drinks! I noticed that the staff in the bar were really friendly too , though I did not get time to have a drink!